Whether you’re in the midst of building a new home from the ground up or doing a full-scale renovation, the bathroom can be easily overlooked when it comes to grand design ideas. 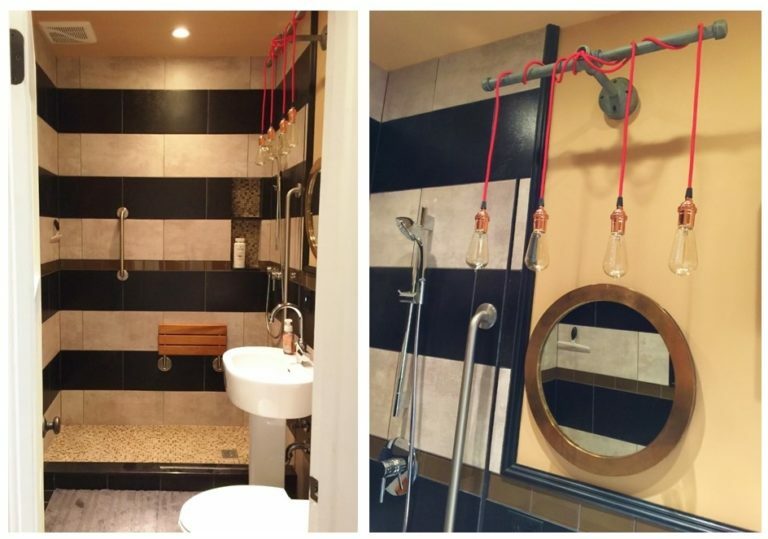 We collected some of our best before-and-after photos that show how, with a little planning and some of our favorite handcrafted lighting, your bathroom can go from bland to beautiful in no time! Darci faced peeling wallpaper and fading tiles in her dated powder room featured here. With a love of mixing vintage and modern styles, she created an updated look with a black-and-white palette balanced with a reclaimed fir vanity and the Academia Schoolhouse Gooseneck Light. Guest bathrooms are often ignored when it comes to design, but Jena Bula, principal of Delphinium Design, demonstrates just how much creativity can be packed into these notoriously small spaces! The Watson Double Sconce over the vanity adds just a touch of industrial flair to this bath. 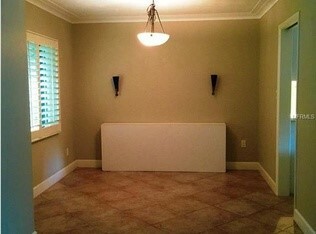 As you can see from the “before” photo above, lighting was high on Becky’s list when she redesigned the master bath in her Florida vacation home. Becky chose the Kao Wall Sconce as the starting point for this incredible transformation. She customized these compact, vintage-style wall sconces with a creamy Jadite finish. 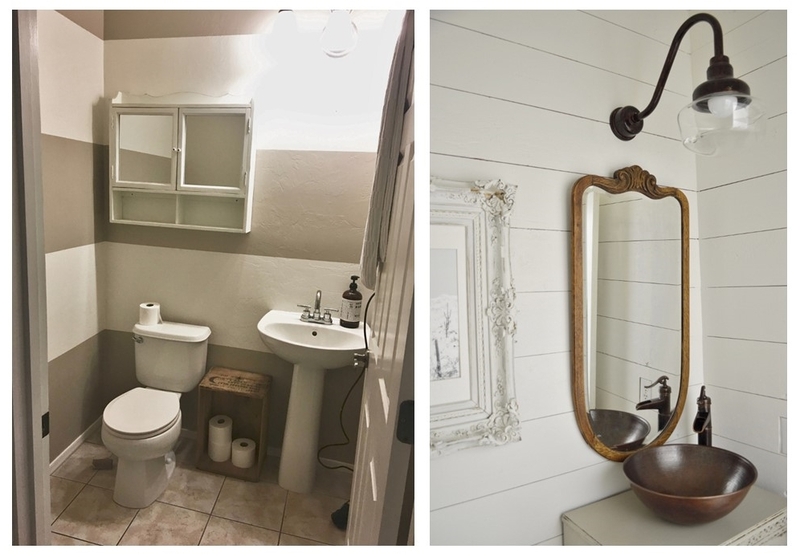 Natalie’s tiny powder room had builder-grade touches so she added character with shiplap walls and a vanity crafted from an old record cabinet. The Academia Schoolhouse Gooseneck Light, with a clear globe and Oil-Rubbed Copper finish, completes the vintage look she loves. 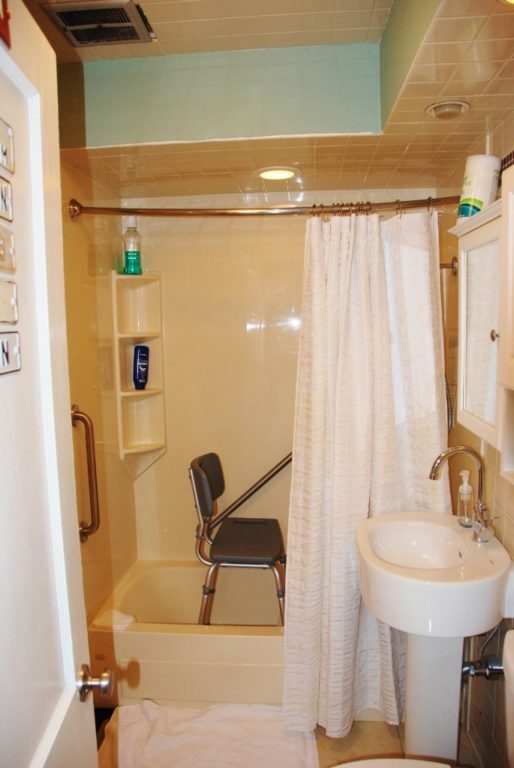 David’s small downstairs bath was last remodeled in the 1960s so he stripped it to the studs and started over. He raised the 7-foot ceiling to the original 9 feet, removed the fiberglass shower/tub enclosure, replaced the toilet and sink, and removed the old tile floor. David opted for the steampunk-inspired Lang Machine Age Wall Light with copper sockets and red cording for a splash of color in the renovated space. This tiny bathroom looks like a completely different room after Shannon repainted and added bold new tile. The American-made Mini Eclipse Wall Sconce is the perfect solution for small spaces without compromising on quality or style. For more bathroom inspiration, don’t miss our Instagram feed which is loaded with amazing photos as is our Photo Gallery. If you take a space from dull to dynamic, be sure to share with us!